I only had one friend in MySpace when I joined in 2005. “Tom”. In fact, all 100 million people who had joined MySpace had one friend. “Tom”. He welcomed us all to our new cyber home and made us feel as comfortable as possible there. “Tom” is Tom Anderson, a cofounder of the MySpace, the first member of the 100 million community and automatic friend to everyone who signed up. So, through a strange set of circumstances and coincidences, that very same Tom just emailed me. A great crime had been committed against me and Tom Anderson, my first friend on MySpace, wanted me to know about it. Somebody had disagreed with me. Someone named Rick Sharga wrote a column there arguing against my recent column: Why I would Never own a Home Again. My theory is that complete honesty frees me from the shackles that bind me to stress, anxiety, financial insecurity, spiritual insecurity, and so on. Most people who read my blog think that I’m almost sabotaging my self-interest by revealing all that I do. In fact, its the reverse. My self interest is freedom in my head. For instance, in contrast to Mr. Sharga’s opinions on my self-interest, I recently wrote a column: 10 Reasons You Should Never Buy Stocks Again. And, I also happen to think most hedge funds are scams and would never run a fund of hedge funds again. So, all self-interest is out. I legitimately believe that people would be happier if they don’t mortgage their lives away, if they don’t fall into the myth of the white picket fence leading to happiness. If they pull themselves away from the American Religion and find their own path to follow. So Mr. Sharga starts off already being completely wrong by misrepresenting me to his readers. But that’s fine. People seem to do that all the time. I do not have a pointy head. Its more block-headed. But, it’s a fact that many early factories would often provide housing for their employees and then charge them for the “rent” and deduct it from their salaries. This was a standard technique only 100 years ago. Often employees would get in debt to the factories, keeping them, in fact, “grounded”. Lets get even more hysterical. Lets look at the trillion dollar banking industry. This is the best business in the world, until it isn’t (2008). How do banks make money? Very simple. They borrow from you at cheap interest rates and then lend to you at higher interest rates. What? How do they do that? Well, when they pay you 0.5% on your checking account its as if they are borrowing from you at a very cheap interest rate. When they then turn around and give you a 6% mortgage loan, they are lending to you. They make money on the difference between the 6% and the 0.5%. It’s a great business and I often advise people to become the bank when they have that opportunity. It’s such a great business, in fact, that banks have spent 200 years drilling it into us with billions in advertising that the “American Dream” is to own the white picket fence, the paved driveway, maybe borrow more to make an extension to the house. Put in a swimming pool. Tear down some walls. Nobody can ever kick you out. You’re not flushing your rent down the toilet. You’re owning! You’re keeping up with the Joneses (the most successful, yet mysterious, family in American mythology, that we all have to keep up with. What happens behind closed doors when the beatings occur, when little Bobby Jones cries himself to sleep, the Joneses will never tell us) At least, in 30 years you will own. But at least you’ve fixed in a mortgage rate so inflation won’t kill you. And having your own home means you now have “roots”. As Mr. Sharga says: “Simply going back to the beginnings of the U.S., the concepts of “wealth” and “land ownership” went hand-in-hand.” I guess that’s true. I can’t find it in the Constitution anywhere but the man knows what he’s talking about. I’m a serf and always will be. I’ll never be a “feudal lord”. – More cash. You never have to put down a down payment that uses up most of the cash in your bank account. You’re never going to see that cash again if you use it as a downpayment. It’s just gone into an illiquid investment and when you most need it, that’s when you are most likely not able to get at it. – Less debt. It’s true a mortgage locks in your payment. But you’re greatly in debt so you are paying interest straight to the bank that has nothing to do with increasing your ownership. In many cases it will take 20 to 30 years before you stop paying that extra interest to the bank. – Less inflation risk. Property taxes often goes up faster than inflation whereas usually rent does not go up faster than inflation (by definition, since government calculated inflation uses rents instead of home prices). – No maintenance. Homeowners have to take care of all maintenance. Some years that might be nothing (unlikely) and some years that may go up much faster than inflation. – Less overall costs. When property taxes and maintenance go up faster than inflation it means you are probably not covering the costs (plus the mortgage) via renting. – More flexibility. In a global economy, opportunities can be anywhere. I like having my flexibility. In other words, if you are a feudal lord today, you are laying out more cash than the renter/serf, and being caught in the spider web of escalating costs in every direction. Whereas the serf has only one payment, which is often contractually laid out for years (I have a contract that specifies my rent for the next ten years with my option to renew). 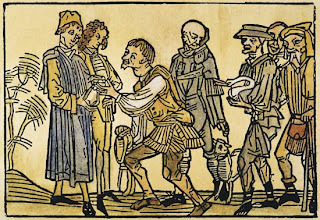 Which means that the serf can diversify his portfolio to a much greater extent than the feudal baron and the serf can more easily move to take advantage of opportunities in other geographical areas (as opposed to the serfs of medieval times that Mr. Sharga compares us to). That downpayment that the feudal baron put out will only go up in value if housing goes up in value and its completely illiquid and usually a major part of his portfolio (little diversification). And he’s flushing money down the toilet with interest (which usually doesn’t go up with inflation), property taxes(which often go up faster than inflation), and maintenance (which goes up with inflation). The serf is flushing money down with rent. But has more cash in the bank, a more diversified portfolio, and is generating liquid cash (hopefully) from other investments. Or has the cash to be an entrepreneur, move around to take advantage of other opportunities, etc. This (in my experience) more than makes up for the rent. Some people, for their own personal reasons, like to own a home. I have nothing against that. Go for it. Just make sure its not because of the hypnosis provided by the American banking industry which props up the American Mythology. Mr. Sharga gives a parting shot at me. I’m not sure why. I’ve never met the man. Nor am I saying anything bad about him here. Just commenting on his article. 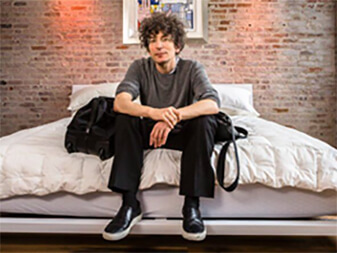 But he seems to know me pretty well to make generalizations about me and my personality: “For Mr. Altucher, the notion of homeownership seems downright scary. And he shouldn’t own a home. He probably shouldn’t own a car either — or a goldfish. He wants the combination of limited responsibility, someone else “taking care of things,” and the ability to move to Sri Lanka on a moment’s notice. And he wants his investments to all be liquid (so maybe I should re-think the goldfish part). He’s absolutely right about all of those things. I would never own a goldfish (disgusting) and I lease my car (well, my wife does. You need a license to own a car and I don’t have a license). And I love the fact that I can move to Sri Lanka at a moment’s notice although I actually really like where I live right now. And owning a home is downright scary to me. Leveraging up 400% in an illiquid investment with no diversification is a scary concept to me and should be to any rational person. I don’t like to quote people without their permission. But I’m grateful Tom Anderson pointed out that article to me because I think the article misrepresents some of the things I said by implying I have self-interest attached to my opinion (I have zero). Tom Anderson is going to succeed at whatever he sets his mind to. As for Mr. Sharga, I’m going to give him constructive criticism. He shouldn’t try to bring me down (“self interest”, “scared to own a goldfish”, “hysterical”, etc) to make his point. That’s bad writing in general. He should read my “33 Unusual Tips to Being a Better Writer” and the next time he lays out his argument I’m sure it will be better. Will housing be a great investment? Who knows? There will be many great investments out there in the years to come. Innovation is not ending. A year ago nobody owned an iPad. Google is making cars that drive on highways without drivers, companies are curing cancer, and when I finish my teleportation machine things are going to get a lot better around here. Last night my oldest daughter went to her first middle-school dance. She had a fun time and is sleeping late in her room. This morning, hopefully, the rain will stop because my youngest daughter is begging me to walk her to the river even though its pouring. I had an orange for breakfast and I still might convince Claudia to make me waffles. This morning, in my self-interest, everyone is happy in my house.